Police again deployed tear gas and water cannons to quell more than thousands protesters that gathered in downtown Ankara. Just a few kilometers away, the Turkish PM was addressing his supporters after warning his patience with the demos "has a limit". 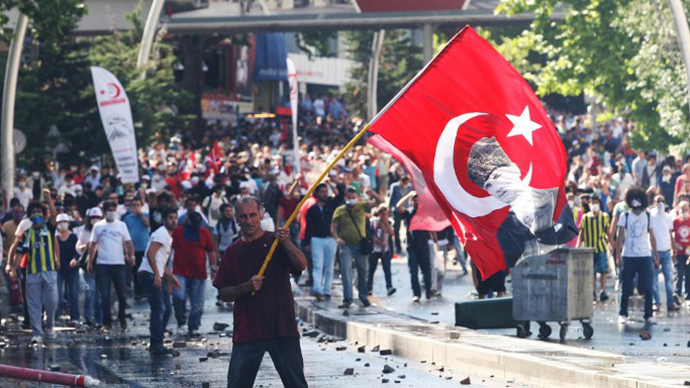 At least two people were injured in fresh clashes in downtown Kizilay square in the Turkish capital, AFP reported. Turkish Prime Minister Tayyip Erdogan, was meanwhile addressing supporters elsewhere in the city, calling on them to prepare for pro-government rallies next weekend in Istanbul and Ankara. "On Saturday, are you ready for a big Ankara meeting? ... The next day we will have the Istanbul meeting," Erdogan said to cheering crowds in Ankara, as riot police moved in against protesters. 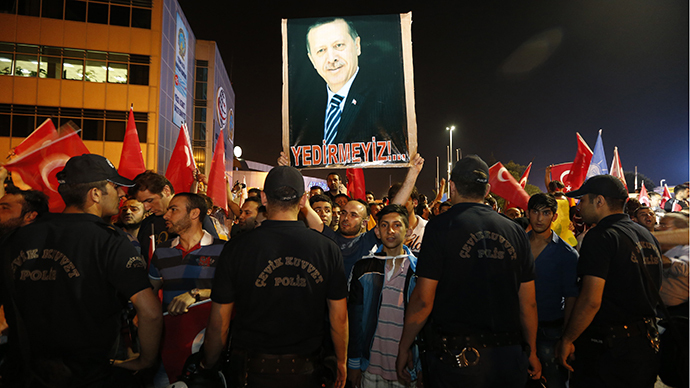 On Sunday, Erdogan held a string of pro-government rallies across the country. Erdogan remained defiant over the ongoing protests, again calling the protesters “marauders” and urging the supporters of his Justice and Development Party (AKP) to “teach them a lesson” at the next local polls as he spoke in the southern Turkish city of Adana. “Those now at Taksim, those who burn and destroy, those at various places across the country, I ask them, in the name of which freedom are you doing this?” Erdogan said in a speech at the Mediterranean Games in Mersin. 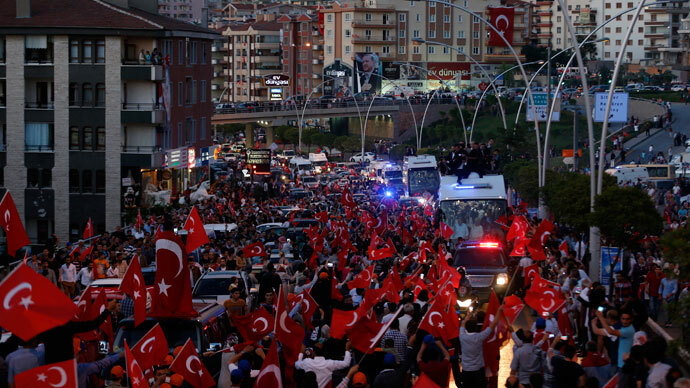 The Taksim protesters do not represent all the people of Turkey, the prime minister argued. 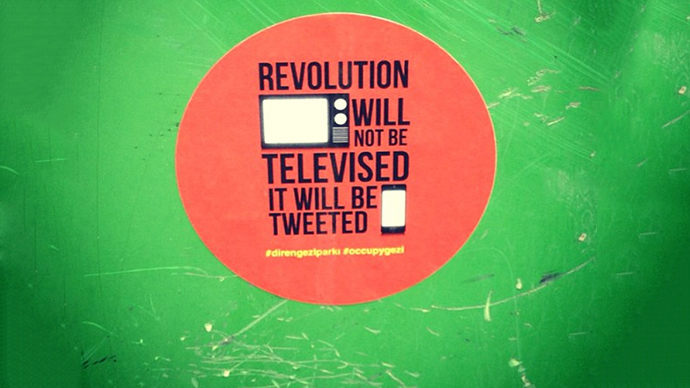 “Are the people only those at Gezi Park? Aren’t those who came to meet us at Istanbul airport people too? Those who are gathered now in Ankara; aren’t they people, too?” he exclaimed. On Saturday night, a rally in the Turkish capital which started peacefully was also dispersed with tear gas and water cannons. According to witness reports on Twitter police were targeting and detaining “random” youths in the crowd. At least three arrests were reportedly made. Authorities deployed over 4,000 riot police to quell the unrest, witnesses claim. In Istanbul, a massive crowd packed the whole of Taksim Square was joined by the fans from rival football teams Fenerbahce, Besiktas and Galatasaray, AFP reports. Police kept away from the scene. In the city's western Gazi neighborhood things did not go so peacefully as protesters hurled incendiary devices and taunted police, which resulted in fresh clashes. Earlier, parliamentary Speaker Cemil Cicek said the mass protests that have been gripping the country are now "under control" and the process “is becoming normalized and increasingly in line with common sense." "We are ready to listen to all reasonable, legal and democratic demands," he added. At the same time, Istanbul's mayor declared that Gezi Park would not be used as a venue to build a shopping mall, but the project to create a replica of Ottoman-era military barracks there would continue. "We are definitely not thinking of building a shopping mall there, no hotel or residence either. It can be... a city museum or an exhibition center," Istanbul mayor Kadir Topbas said as quoted by AFP. "The plan for the barracks was part of our election promises, the people gave us the authority to do it." The Turkish government dismissed press rumors of an early election on Saturday following the party meeting on the grounds it was unnecessary. Prime Minister Erdogan, who has been criticized by protesters for his overly authoritarian ruling style, returned to Turkey on Thursday night to a throng of supporters at Istanbul airport. A number of counter-demonstrations are said to be planned next week, as anti-government protests enter their 10th day. Social upheaval began in Turkey last week when a demonstration against the demolition of a central park in Istanbul was brutally dispersed by police. In response, protesters occupied Istanbul’s Taksim Square and clashed with police repeatedly during the subsequent days. 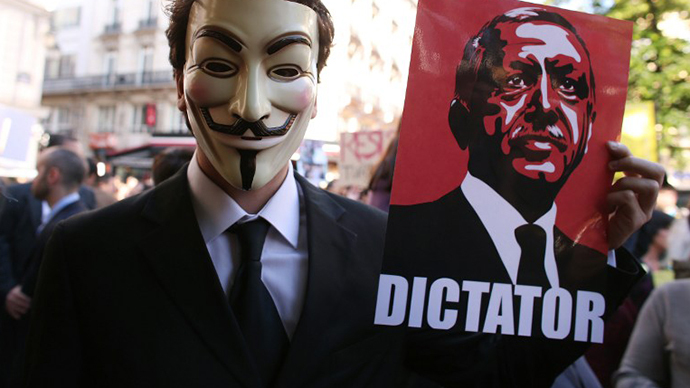 Many are calling for Prime Minister Erdogan’s resignation.